VHR reproduce an extensive range of headlamps, sidelights, indicators and spotlamps. The range of lamps can be seen in the Online Catalogue. 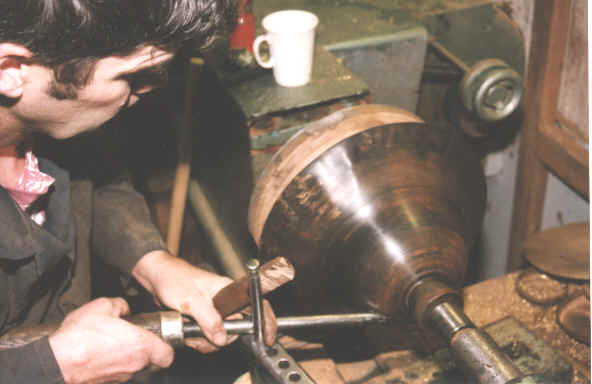 Firstly, the bodies, rims and reflectors are spun from sheets of brass onto specially made wood or nylon formas using a lathe. All internal fittings, hinges, brackets even stone guards are then made. 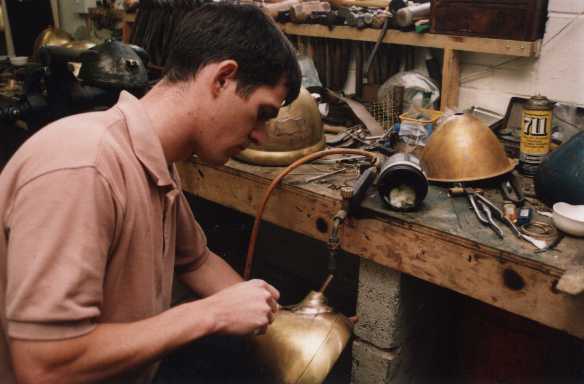 The lamp pieces are then electroplated and finaly constructed to give a lamp of unsurpassed quality. 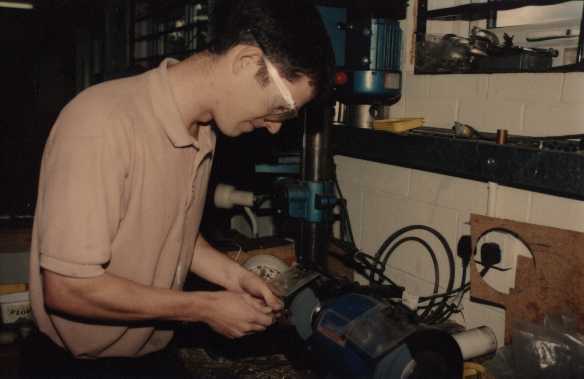 The body of a headlamp is spun on a lathe with intermittent heating (ANNEALING) to help form the required shape and size. Intricate screws, bolts and brackets are made using a lathe. 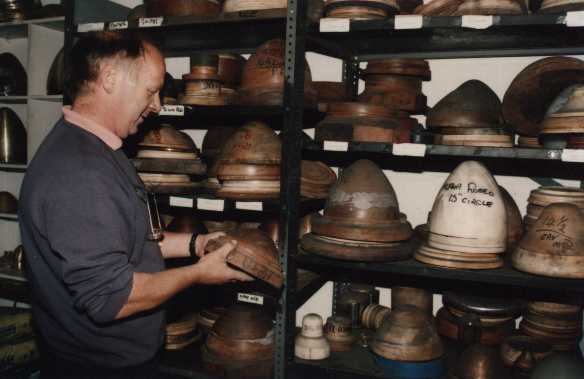 A collection of CHUCKS (formas) from which the lamp bodies, rims and reflectors are produced. 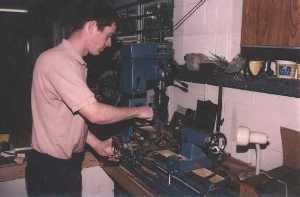 Hinges, spiders, brackets, catches, badges are hand made using lathes – mills – castings etc. 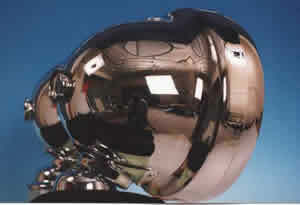 A lamp is assembled using soft solder and silver soldering techniques. An example of the finished article.